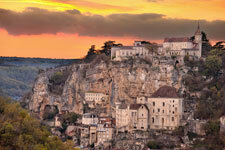 Set majestically against a sheer cliff above the Alzou canyon, the small village of Rocamadour (pop. 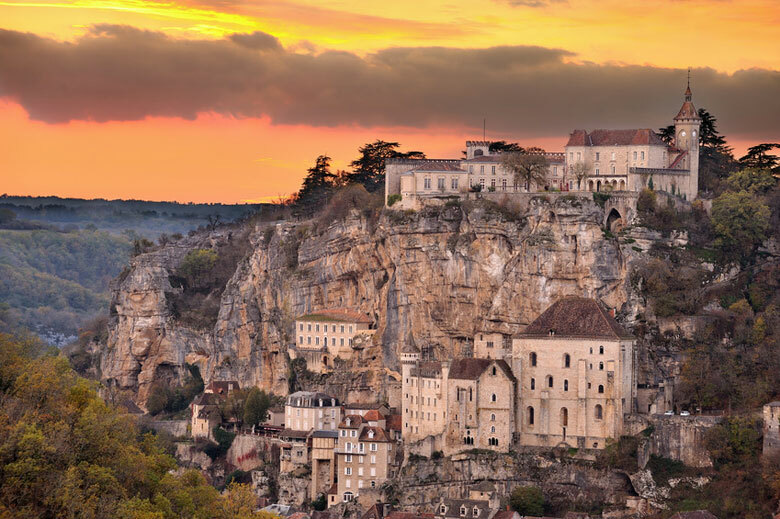 630) is the 5th most visited site in France, attracting 1.5 million tourists annually. 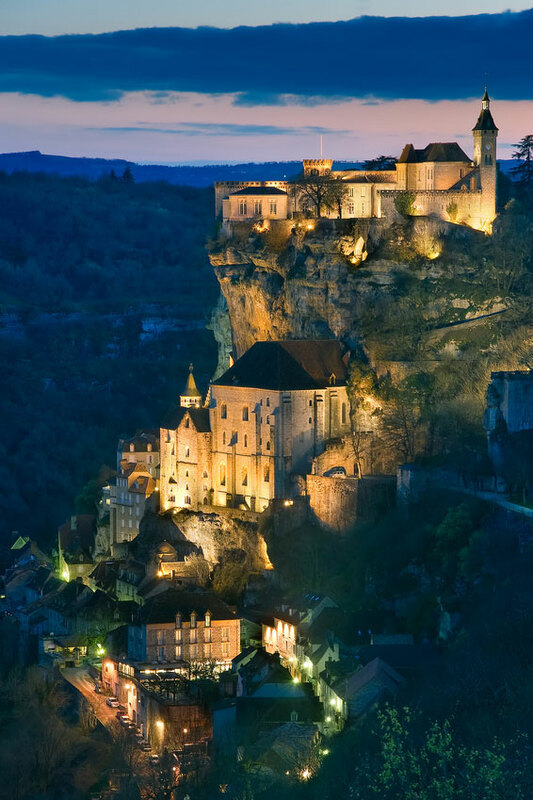 Inhabited since the Paleolithic, the present settlement developed from the 12th century and quickly became a major pilgrimage destination, luring kings and bishops alike. Two local monuments are listed as UNESCO as World Heritage sites as part of the Routes of Santiago de Compostela. 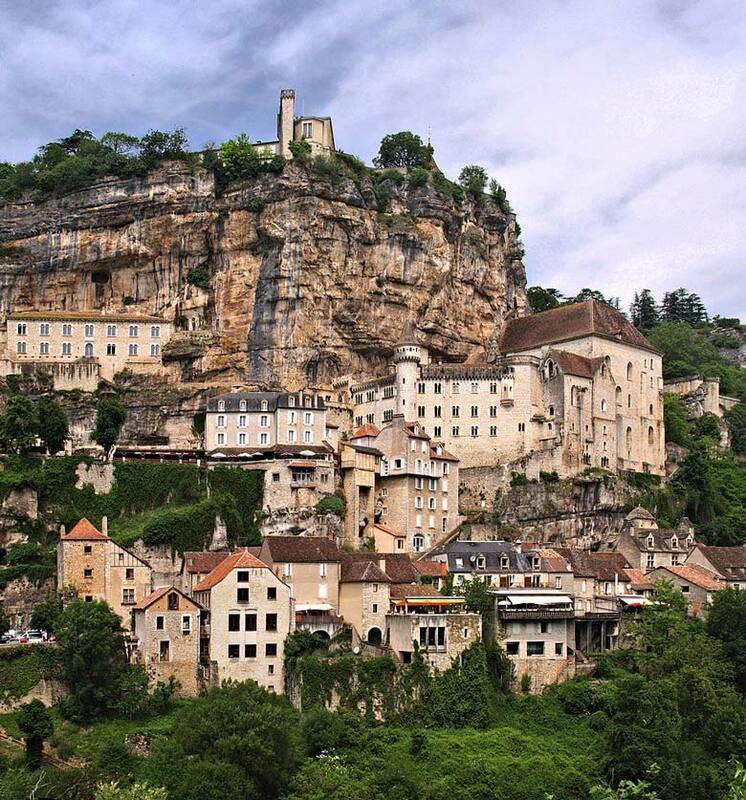 Most people come to Rocamadour by car or on organised tours by coach. 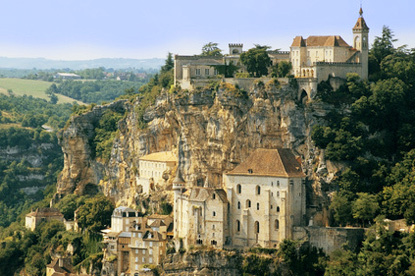 If you can't rent a car, you can catch a train to Rocamadour from Figeac (35min), Brive-la-Gaillarde (45min). Trains run approximately every two hours from 6:00 am to 10:00 pm. Be advised that the station is located 5 km outside the village, so if you don't want to tramp all the way there, you might need to take a taxi (Taxi Herbert: 06 73 44 79 98) as there are no local buses. 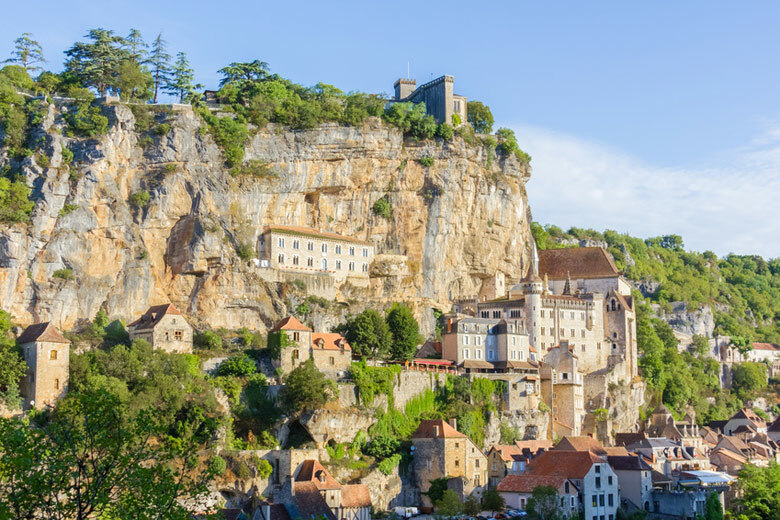 It can be quite an adventure to get there from Toulouse (3.5 to 4.5 hours), as you will need to change train at Tessonnières then again in Figeac, or first take a direct train to Brive-la-Gaillarde and backtrack from there.